SANCTUARY - CODEX This exhibition showcases a small selection of the beautiful work realized by Sanctuary, a collective based in Richmond, Virginia. 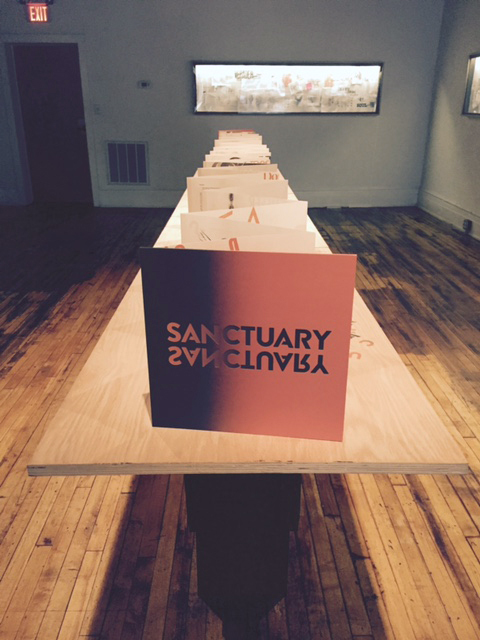 Sanctuary and its sister program, Open Minds, each consist of a growing network of artists, educators, activists, poets, musicians, administrators and students… some of whom are incarcerated. The individuals who have committed their creativity, time and energies to the ongoing projects of these collectives are engaged in a fight for freedom- of all people- from physical and mental oppression. “We wish that you appreciate and relate, knowing we are not as much inmates as we are your neighbors. And to make this possible, we kick it from our minds to the paper, and the paper we move to the outside, to you, our words a bridge over the barbed wire between us.” These words- taken from Open Mind’s manifesto- speak to the massive injustice of the prison-industrial complex in our country, as well as many of our own prejudices and misunderstandings. The body of work presented here is a testament to the will and potential of our collective ability to realize effective change through a spirit of generosity. We are honored to house Sanctuary and hope you will open your self, appreciate and relate. (FROM SANCTUARY//CODEX) This book is the result of over two years of work by more than 50 writers, artists and activists. The idea for making a codex was born in a writing class in the Richmond City Jail after discussing Mayan and Incan codices and the contemporary political art book, Codex Espangliensis (by Gõmez-Peña, Chagoya and Rice). We were so impressed with the Codex Espanglinensis that we decided to make a codex of our own. Like the Expangliensis, our codex is a blend of politics, pop culture, and art. 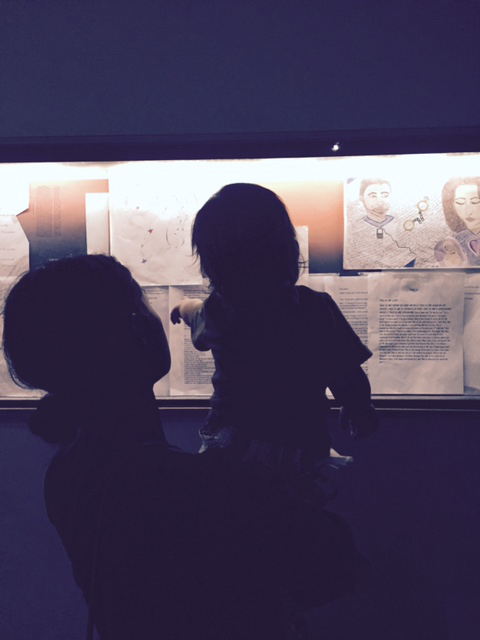 Our codex navigates the border between inside and outside, as prisoners, some still incarcerated, some now free, created the writing and drawings you see. 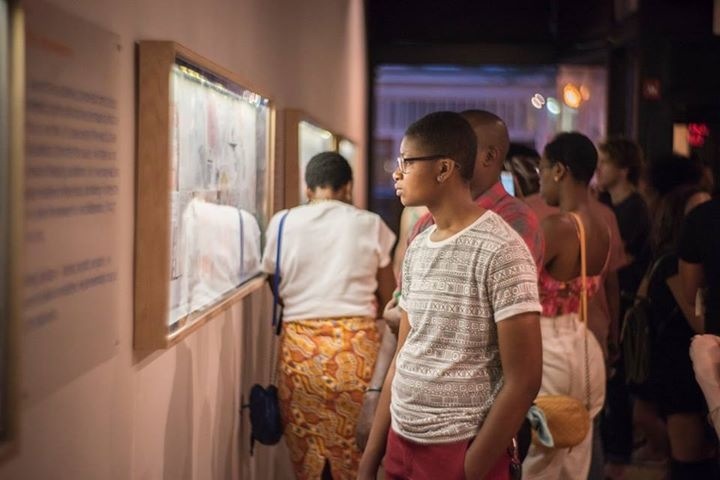 We believe that art has the potential to transform culture. This is our attempt. It certainly has tranformed us. Thank you for reading. 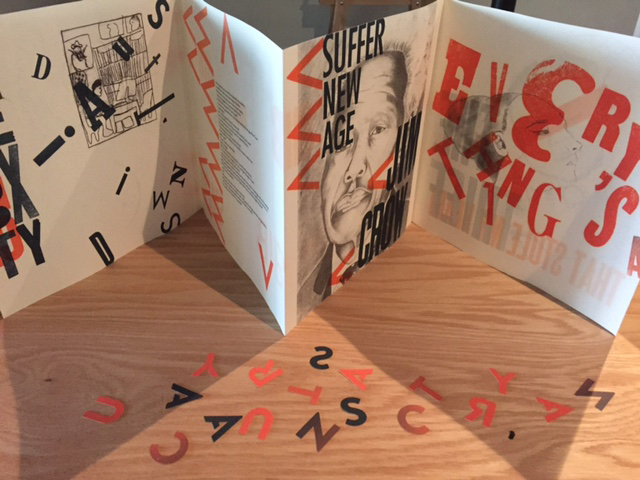 Designed and letterpress printed by students of the VCUarts Bowe House Press under the creative direction of Professor Jamie Mahoney-Adele Ball, Collin Brideau, Claire Corneal, Ben Evjen, Ashley Gladner, Mary Selph, Kyle Tellier, and Weijian Zhou. Digitally printed by Christian Gregory, VCUarts Painting + Printmaking. 11/19/15 - Writing Our Way Out - Book release and reading. David Coogan is an associate professor of English at Virginia Commonwealth University, where he teaches courses in writing and literature. He is the founder and co-director of Open Minds, www.openminds.vcu.edu, a program that enables college students to take courses in the arts and humanities with men and women incarcerated at the Richmond City Justice Center, formerly the Richmond City Jail.